Southeast Lineman Training Center is approved to certify veterans for post-9/11 G.I. Bill benefits which will pay up to 100% of our programs costs including a one time stipend of $240 for books and supplies. Veterans of the Armed Services can apply for G.I. Bill benefits online. Once you receive a certificate of eligibility, please send it to priscilla@lineworker.com to continue with the process. After you graduate from SLTC and enroll in an apprenticeship program you are eligible for VA benefits through the On-the-Job or Apprenticeship Training program. VA will reimburse you at the rates above. Do you accept federal funding (fafsa)? No, only Title IV schools are eligible for FAFSA. However, we do offer other forms of financial aid. Click here to go to our financial aid page. Yes, we do offer different forms of financial aid. Click here to go to our financial aid page. Yes, we are eligible to certify veterans for the Montgomery and Post 9-11 G.I. Bill. Click here for more information on veterans benefits. In order to attend SLTC, you must be 18 years old, a High School graduate (provide High School transcripts or GED transcripts), eligible for a Class A Commercial Driver’s License (provide a copy of your valid driver’s license that does not expire prior to term start), be physically fit (part of the application process includes a medical physical), pay the required application and lab fees, and be able to obtain medical coverage for the duration of the course. You can be denied admission if you do not meet the minimum admission requirements.  SLTC uses an open enrollment process, which means that completed enrollment agreements are accepted in the order they are received. Spots fill up extremely quickly at SLTC. Your best chance to get a seat in the term of your choice is to submit your application early and immediately start the enrollment process. Click Here to get started in the ELP Program. Once your application is received, you should receive correspondence from us in less than five days regarding your status – although we try very hard to communicate sooner. If you have not heard from us or if you have any questions at all, please give us a call us at 706.657.3792. We would love to hear from you! Most of our graduates will take jobs with companies that will require them to travel or relocate. However, after experience is gained in the industry you will have more opportunities to get closer to home. Do you guarantee me a job when I’m done or place me in a job? We do not guarantee a job, but we do offer placement assistance. Many of our graduates have multiple job offers upon completion of the program. Placement depends largely on a person’s willingness to travel or relocate. Darrin is a retired chief warrant officer with 25+ years of active duty military service with a diverse background in air/land operations and has multiple combat tours in the Middle East and Central America. He currently still serves the country as a civilian advisor and coaches/trains military and civilian athletes. Cheryl has over 12 years of experience working at SLTC. She has helped hundreds of Veterans sign up for GI Bill benefits and enroll at SLTC. Cheryl takes great pride in helping those who have served our country start a new career after or during their transition out of the armed services. © 2017. Southeast Lineman Training Center.